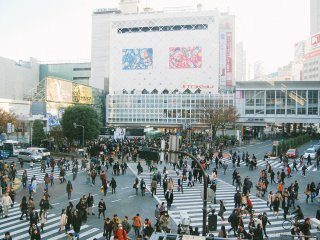 View of Shibuya Crossing from a coffee shop on the second floor. How busy it is! 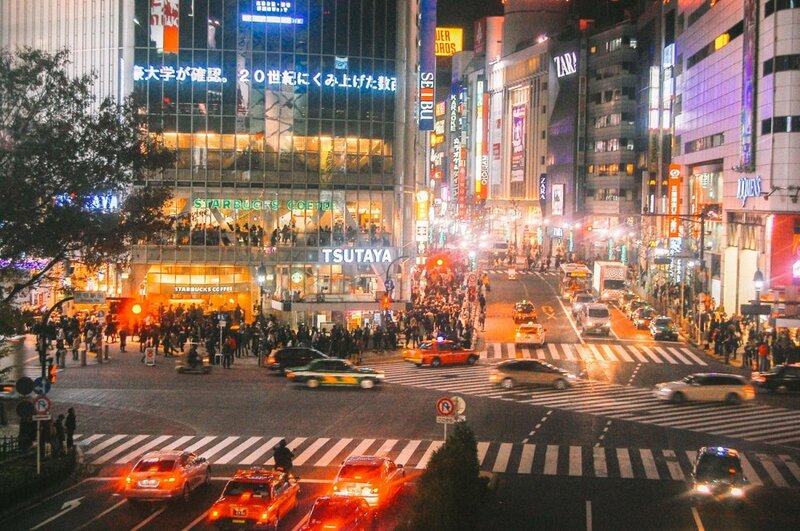 How busy Shibuya Crossing is at night. The pedestrians are waiting for the traffic light. Thousands people are crossing from opposite ways. 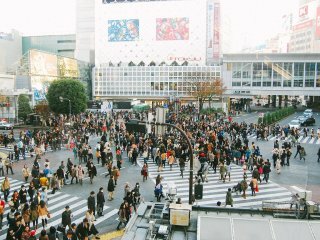 Shibuya Crossing on Sunday afternoon. 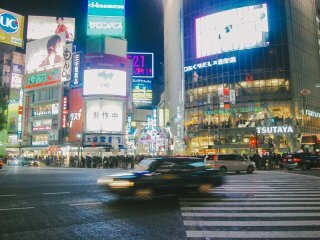 Shibuya Crossing is not only enlivened by pedestrians but also vehicles. The famous Hachiko statue is often used as meeting point. 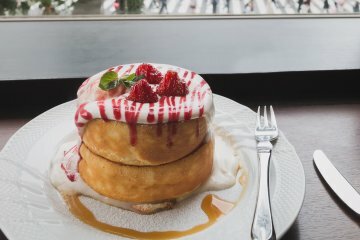 Usually, this area is crowded by young people, office workers, and certainly curious tourists. Besides Tokyo Tower there's another strong magnet pulling me to Tokyo. 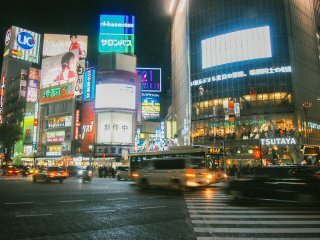 It is Shibuya Crossing. 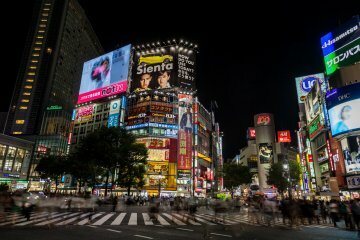 Shibuya is one of 23 city wards of Tokyo, packed with well-known brand stores, entertainment areas, and teenage districts. 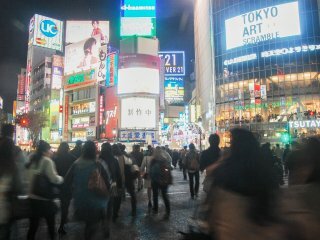 Shibuya Crossing itself is the most crowded place and it can be said it is the center of Shibuya. 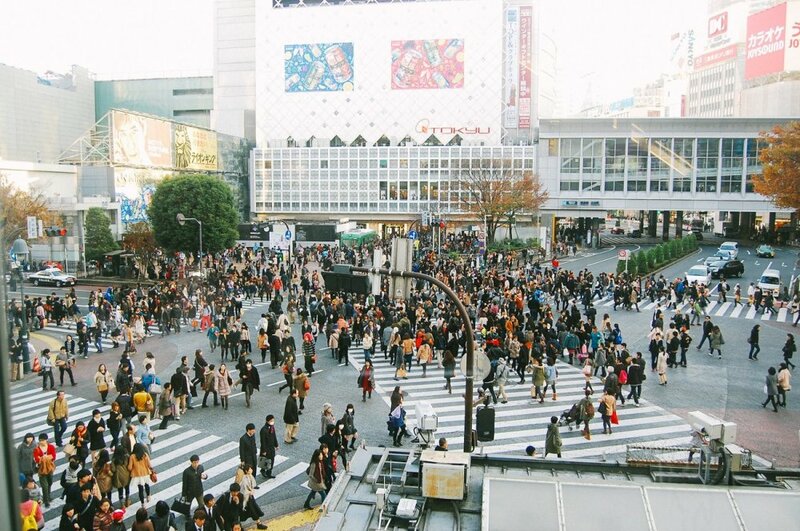 Clearly, Shibuya Crossing is the busiest crossing in the world. There are at least 45,000 pedestrians every 30 minutes during rush hour. 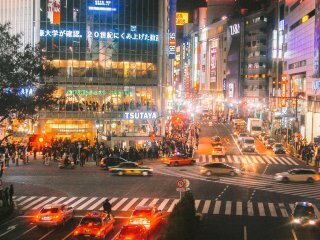 The world's busiest crossing is decorated by colorful neon at night. Here, you can find the famous Hachiko statue. 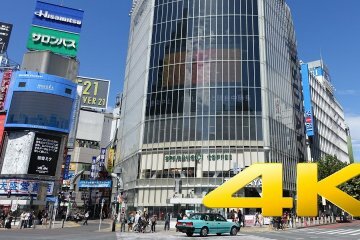 It also is the setting of the Hollywood movie 'Lost in Translation' directed by Sofia Coppola in 2004. Enjoy crossing the busiest intersection in the world! I liked how you went through the extra effort with night shots and fun angles. You probably spent two or three hours taking these pictures, having to to cross the street so many times! I spent a lot of time here Justin. I even walking through Shibuya by listening one album of the soundtrack from Lost in Translation. So much fun!